Very Good. 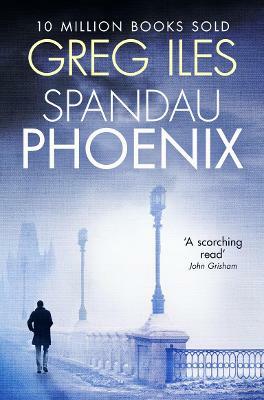 Spandau Phoenix (Pb) (World War II Thriller) by Iles, Greg, 1994-04-28. Mass market (rack) paperback. Glued binding. 704 p. World War II Thriller. Another "must read" from Mr.Iles! If you are a Greg Iles fan, you shoul definitely read this book. It is a real "page-turner" and hard to put down. I found myself getting so excited and into the plot that at times I was reading too fast just to see what was coming next!. Then I had to re-read parts because I just flew right by things that were critical to the plot. The plot is rather involved and complex, but it is well worth slowing down and rereading some parts if neccessary to get the whole jist of the story. This book and The Black Cross have sparked a growing facsination of the history of World War II for me, which is just another plus for this book. An author who can entertain and teach at the same time has a true gift. Greg Iles is a great story teller and this is another great story from him. It evokes every emotion, from humor to horror. He's done it again! Thank you Mr. Iles!